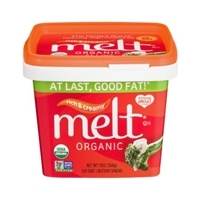 MELT® ORGANIC RICH & CREAMY SOY FREE BUTTERY SPREAD. AT LAST, GOOD FAT®! RICH & CREAMY. 425MG OMEGA 3 PER SERVING. USDA ORGANIC. NON GMO PROJECT. VERIFIED. 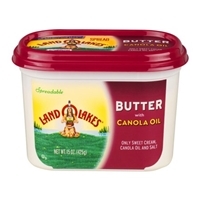 Expeller-pressed organic oil blend (virgin coconut (fair for life fair trade certified ingredient at least 20% fair trade), palm fruit, canola, hi-oleic sunflower, flaxseed), water, sea salt, sunflower lecithin, tea leaf extract (antioxidant), organic-compliant natural flavor, organic annatto. Gluten free. 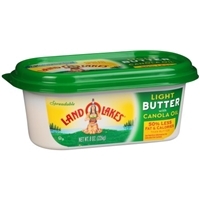 Brand/Manufacturer: Land O'Lakes Land O'Lakes Inc.
Sweet cream, canola oil, salt.contains: milk. 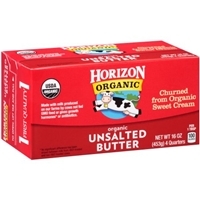 Pasteurized cream, natural flavorings. 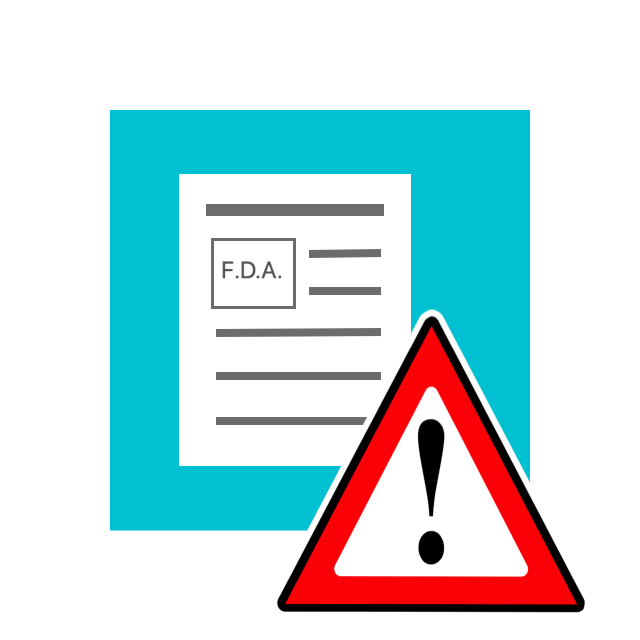 Allergy warning: contains milk. Crema pasteurizada, saborizantes naturales. 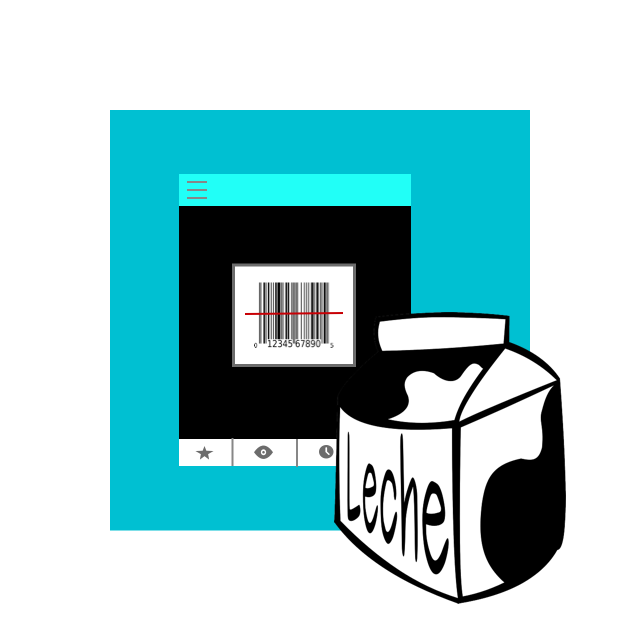 Advertencia por alergia: contiene leche. 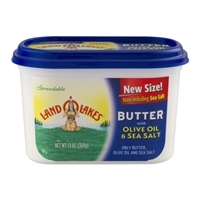 Sweet cream, olive oil, salt, sea salt. 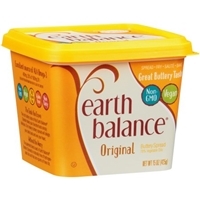 Brand/Manufacturer: Earth Balance Smart Balance, Inc.
Oil blend (palm fruit, canola, soybean, flax and olive oils), water, contains less than 2% of salt, natural flavor (plant derived from corn), pea protein, sunflower lecithin, lactic acid (non-dairy), and naturally extracted annatto (color). Gluten free. 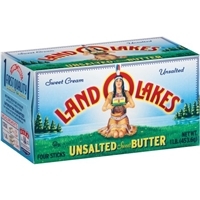 Sweet cream, natural flavoring. Gluten free.contains: milk. 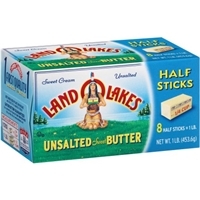 Brand/Manufacturer: Land O Lakes?? 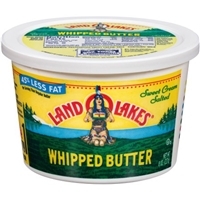 Land O'Lakes Inc.
Organic grade a sweet cream (milk), lactic acid. 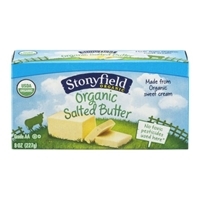 Brand/Manufacturer: Stonyfield Organic Stonyfield Farm, Inc.
Pasteurized organic sweet cream (milk), salt. 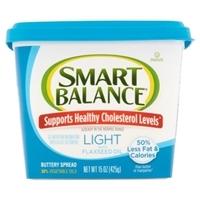 Brand/Manufacturer: Smart Balance Smart Balance, Inc.
Water, oil blend (palm, canola, flax, soybean, olive oils), less than 2 percent of salt, natural and artificial flavors, sunflower lecithin, lactic acid, vitamin a palmitate, beta-carotene color, vegetable monoglycerides and sorbitan ester of fatty acids (emulsifier), potassium sorbate, tbhq and calcium disodium edta (to preserve freshness). Gluten free. 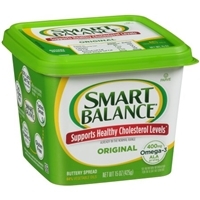 Brand/Manufacturer: Smart Balance GFA Brands, Inc.
Oil blend (canola, palm, soybean, olive oils), water, less than 2 percent of salt, whey, natural and artificial flavors, sunflower lecithin, lactic acid, vitamin a palmitate, beta-carotene color, vitamin d, monoglycerides of vegetable fatty acids (emulsifier), potassium sorbate, calcium disodium edta (to preserve freshness). Gluten free.contains milk. 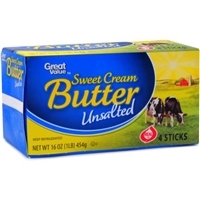 Pasteurized sweet cream, salt.contains: milk. 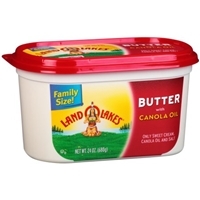 Water (ingredients not found in regular butter), butter (cream, salt), canola oil (ingredients not found in regular butter), buttermilk (ingredients not found in regular butter), contains less than 2% of food starch - modified (ingredients not found in regular butter), tapioca maltodextrin (ingredients not found in regular butter), salt, distilled monoglycerides (ingredients not found in regular butter), lactic acid (ingredients not found in regular butter), potassium sorbate and sodium benzoate (ingredients not found in regular butter) (preservatives), natural flavor (ingredients not found in regular butter), xanthan gum (ingredients not found in regular butter), pgpr (ingredients not found in regular butter), beta carotene (color).contains: milk. 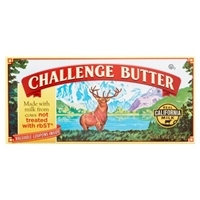 Brand/Manufacturer: Challenge CHALLENGE DAIRY PRODUCTS, INC.